Steve Wilder helped grow the West Ada School District’s agricultural program from three to 13 teachers. They remind “screen-agers” to put down technology and seek healthy living habits and relationships. Three lawmakers have enough kids to populate a school district or even a small Idaho town. Stand-up desks keep kids from slumping and zoning out, says Meridian teacher. Haven’t seen it yet? Don’t miss what millions worldwide are watching. A 28-year old Boise entrepreneur helps students learn science, technology, engineering and math. 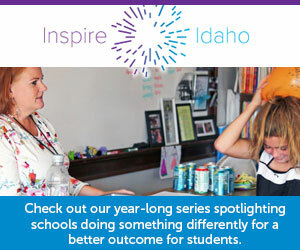 Everyday Leadership is hosted at six Boise schools and targets low-income students. Monday kicks off Computer Science Education Week.